I am not so good with drawing though I am always seeking a model to practise with. I need a model who will do what I need him to do without asking too many questions, getting tired, needing a break and so on… Adam is perfect! He will stand, sit or strike a pose and what’s more, keep that pose for as long as I need him too. Same with Rover… no questions asked. Put this couple into the pose you need and then take your time… with these two as your models there is no rush, you can take all the time in the world to make your drawing perfect. And when you finished with bending their joints and twisting their limbs you can place them somewhere nearby, such as sitting on a book shelf so they can watch over you… they are such a pleasure to look at. They come packed in a lovely box, into which they are securely attached to prevent any movement in transit. 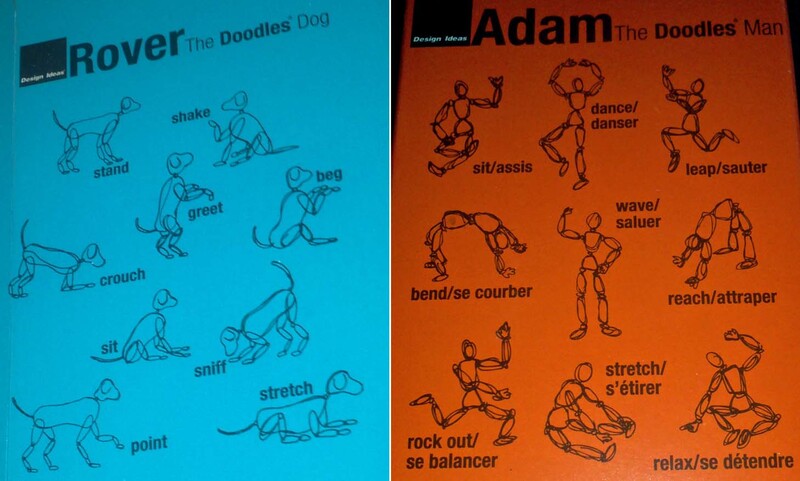 On the back of their box are a few pictures giving you a general idea about what both Adam and Rover can do. 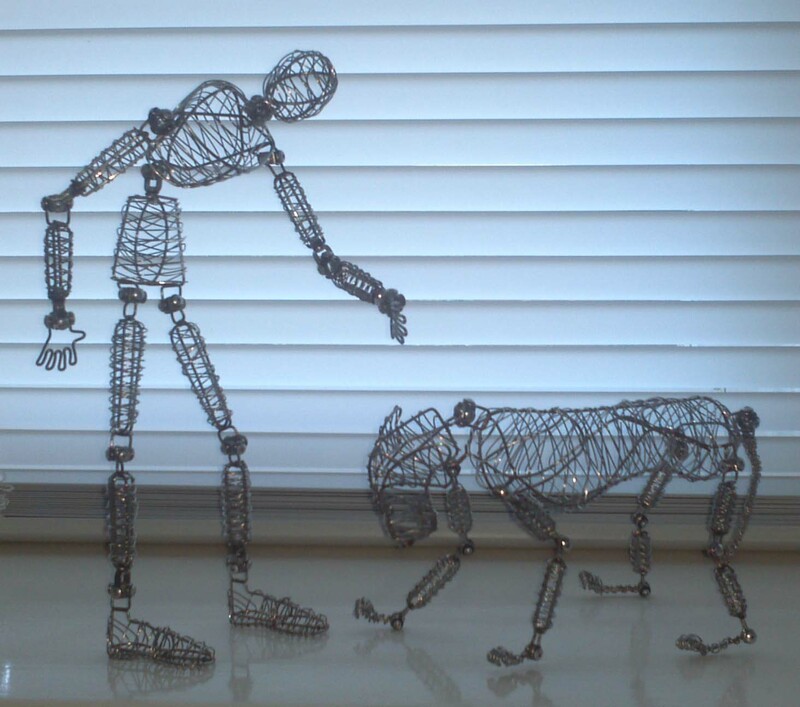 Despite the fact that they are both made of wire, they are smooth to the touch… cool, but smooth… so there is no danger of getting scratched while handling them. They are really, really well made. I was expecting a nice product but I didn’t think it will be so nice and so faultless. The rivets are perfect, they all bend easily; while at the same time they will stay in the desired position until changed. First of all they will be perfect as an art prop, helping you, your kids or friends to perfect their drawing skills. Secondly, they will both make a perfect home decoration for anyone loving quirky things or anyone into modern design, where pure form and unusual decor pieces are of an essence. 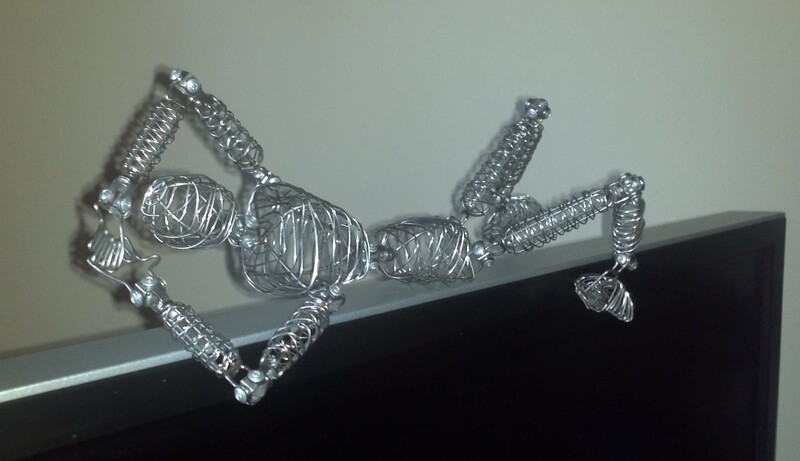 As ornaments go these two make ideal candidates, as when you’re bored of them you can just change their location and position, have them looking out the window one day and the next reclining on your PC. Third, I think they just look really cute; I cannot even begin to imagine why someone might not want one of them. So what do you think about the Doodle Family so far? You ate all the cookies! Bad Rover, bad boy! I received Adam and Rover free of charge for review purposes. The opinions expressed in this review are honest and my own. your posts are always so interisting and full of great content. You make me think and this is definitely a good aspect – to make people reflect about something using art and beauty as a mean. These looks so fun! It would be cool if they came in different colours, and maybe more detailed as well! I’ve never seen these before. These are so cute!!! I never had a dog, but I had the wooden guy one 🙂 Perfect for drawing! What an interesting concept! 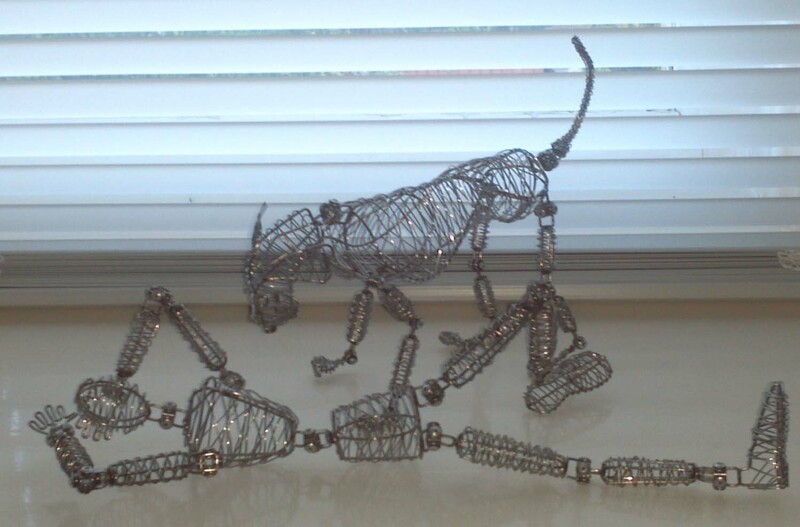 I’m always amazed by the creativity of artists – How do they come up with everything?? they look so cute!!!!!!! great job dear! Oooh! Perhaps a lady companion for Adam? Or another pet? The possibilities are endless! Wow they are so fantastic and super fun too ! HOw cool is that?! They look so fun! Thank you so much for sharing! Loved seeing all the pics! 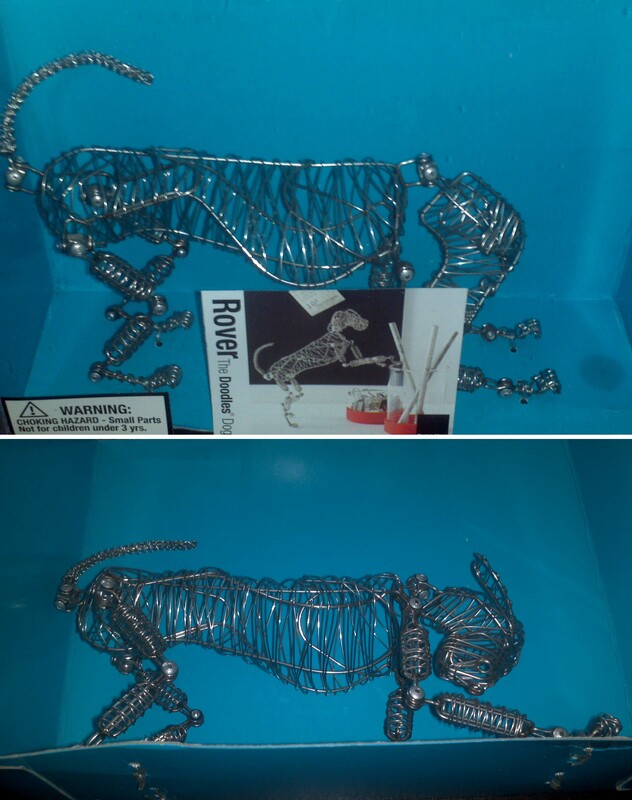 These are interesting but would make neat gifts for art lovers. What a cute little pair! 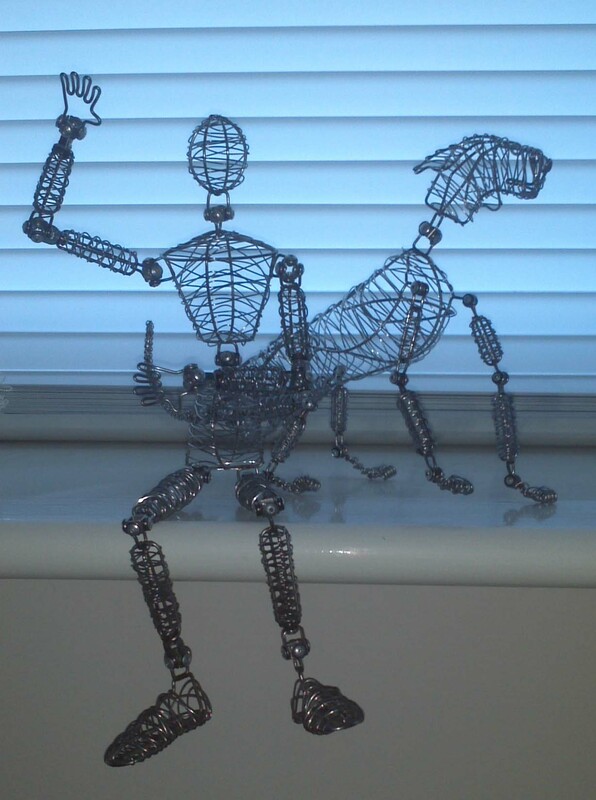 I would have these guys in my home, and I’m terrible at art. 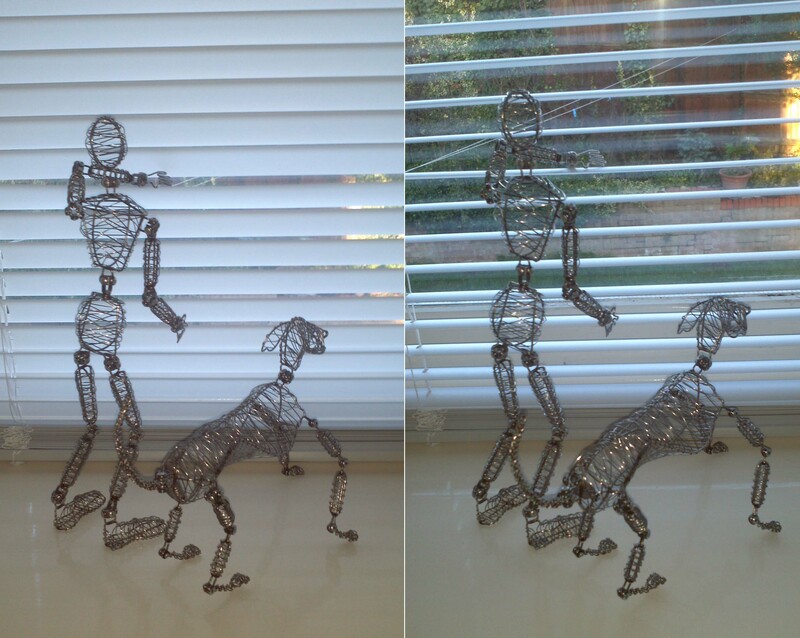 They make a fresh new twist on the older wooden man to use for practicing drawing forms, and I love it that he has a canine companion so we can practice drawing dogs too (or find a new husband and pet for Barbie – this guy is so much better than Ken). These are fantastic. I really enjoy anything creative, as much as I like to draw, I am not overly good at it. Something like these fun characters would be a great help to someone like me. 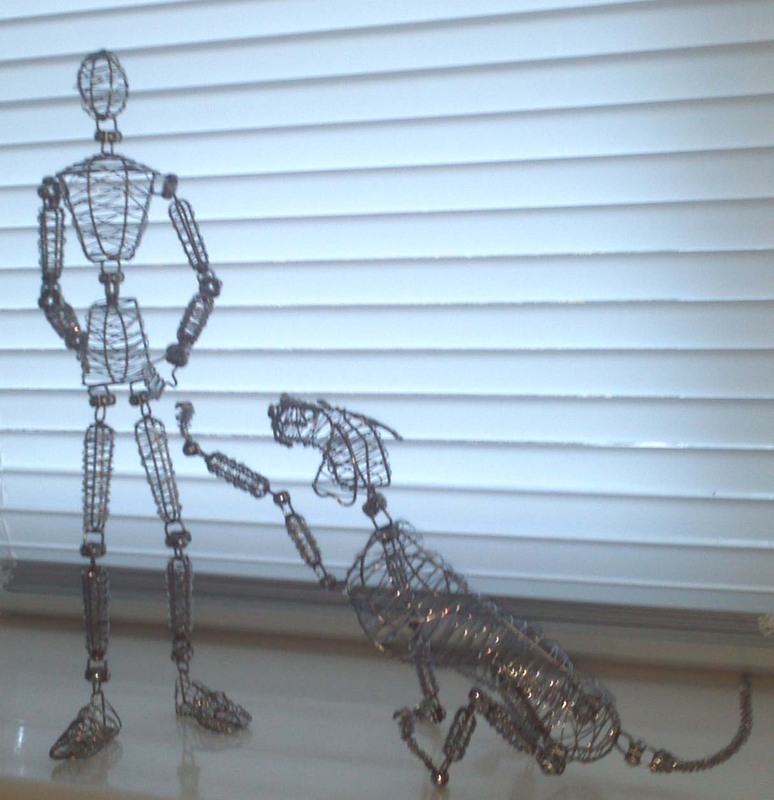 Such a clever idea and being made of wire, much more flexible than the wooden one I have! Also, Rover is so sweet! !